The Pan-Mass Challenge raises money for life-saving cancer research and treatment at Dana-Farber Cancer Institute through an annual bike-a-thon that crosses Massachusetts. 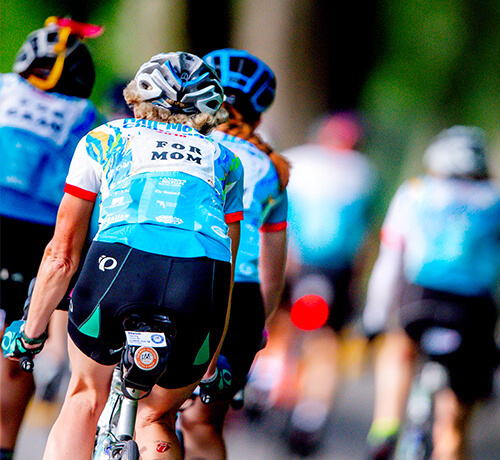 Since its founding in 1980, the PMC has successfully melded support from committed cyclists, volunteers, corporate sponsors and individual contributors. All are essential to the PMC's goal and model: to attain maximum fundraising efficiency while increasing its annual gift. Our hope and aspiration is to provide Dana-Farber's doctors and researchers with the necessary resources to discover cures for all cancers. Established by Billy Starr in 1980 and under his direction, the PMC has grown considerably and consistently from its modest beginnings into an event that draws 6,600 cyclists from 43 states and nine countries. Today, the Pan-Mass Challenge raises more money than any other athletic fundraising event in the country. 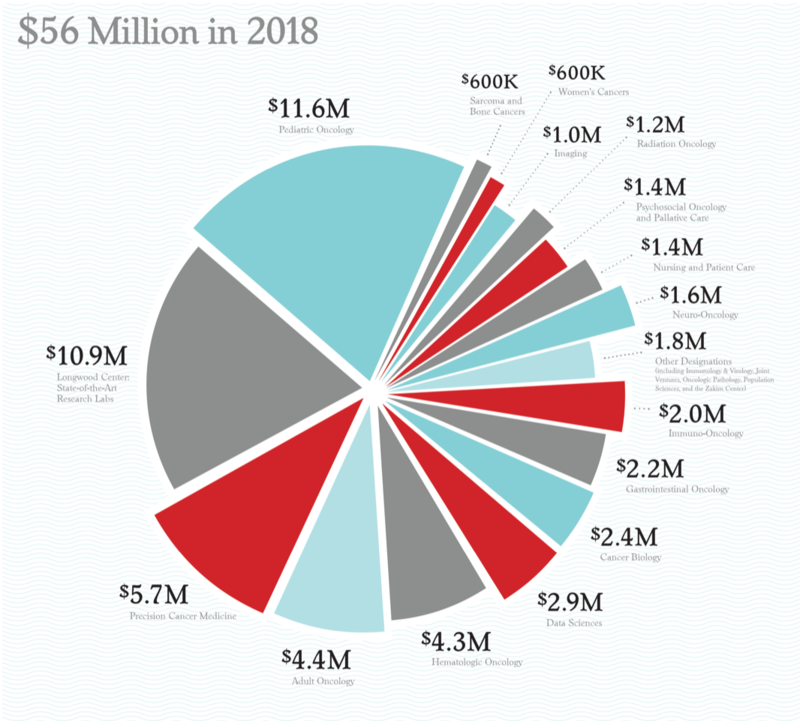 The PMC generates more than 55 percent of the Jimmy Fund's annual revenue and it is Dana-Farber's single largest contributor. Over the past 39 years, PMC cyclists have ridden to raise and contribute $654 million to cancer research. The now nationally recognized PMC is a tribute to Starr's unending desire to achieve, make a difference, and raise money for cancer research. It is also a model for all athletic fundraising events, setting the pace for a now $5 billion industry. Physical adventures had always been second nature to Starr, an avid outdoorsman who honed his skills while attending college in Colorado. From rock climbing to biking to backpacking, Starr's education was equally physical and academic; he graduated from college with a thirst for physical challenges and the expectation of backpacking around the world. And then his mother, Betty Starr, just 49, died from melanoma. It was soon after that a 25-year-old Starr set out with three friends to hike the Appalachian Trail. Since Starr was the instigator, he ended up doing all the work: He planned the group's gear, food, and travel pace. He set up supply mailings to the appropriate post offices. He carried the heaviest load, both emotionally and physically. And when nature pelted the young men with freezing rain for the first eight straight days of their trek, it was Starr who encouraged the group to keep going and to keep focused on the challenge. From this experience, Starr says he understood that those who put in the mental energy, not just the physical, follow their goals from theory to mission accomplished. From that point forward, Starr knew he could achieve anything to which he committed his mind and body. "Thanks to the unstoppable PMC community, there are many more advancements in the works and on the road ahead. The hurdles that cancer presents can feel hundreds of miles long, but PMC riders know that with great focus, grit, and the motivation of a shared finish line, obstacles can be overcome. Please know how truly grateful I am to have persistent allies like you at my side as we strive to better treat and support every patient." The PMC Yearbook is an annual publication celebrating each year’s PMC weekend, gift to Dana-Farber Cancer Institute, and all who bring the PMC closer by the mile. No greater purpose. No better partnership. The mission of Dana-Farber Cancer Institute is to provide expert, compassionate care to children and adults with cancer while advancing the understanding, diagnosis, treatment, cure, and prevention of cancer and related diseases. As an affiliate of Harvard Medical School and a Comprehensive Cancer Center designated by the National Cancer Institute, Dana-Farber also provides training for new generations of physicians and scientists, designs programs that promote public health particularly among high-risk and underserved populations, and disseminates innovative patient therapies and scientific discoveries to our target community across the United States and throughout the world. Dana-Farber Cancer Institute's ultimate goal is the eradication of cancer, AIDS, and related diseases and the fear that they engender. Above all else, Dana-Farber makes a difference by relieving the burden of disease now and for the future through our research, clinical care, education, outreach and advocacy. To learn more, visit Dana-Farber Cancer Institute. Click here to learn more about how Dana-Farber uses PMC funds. Click here for Patient Referral Information.